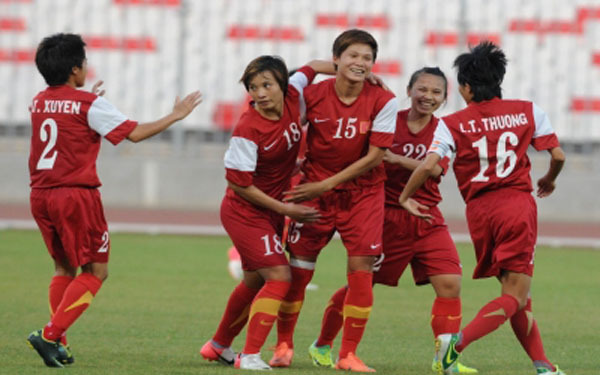 HA NOI (VNS) — The national women's football team will start training today to prepare for the ASEAN Football Federation Cup. Japanese coach Norimatsu Takashi yesterday called up 27 players who impressed him during the first leg of the national championships in HCM City last month. Ha Noi 1 and HCM City, who were on song at the tournament, account for eight players each. Phong Phu Ha Nam will send seven while the rest come from Viet Nam Coal and Minerals and TNG Thai Nguyen.